Whatever your sewer or drainage issue may be, we are ready to solve it. Do you hear gurgling noises in your drains? Do you detect that unmistakable sewer stench? Do you experience any water backup or flooding? How about sewage backup? If you see water backing up out of a floor drain in your basement or if your toilet bubbles when flushed, you best stop using water for the time being (as it could accumulate in the basement) and give us a call for sewer line repairs. First, our expert technicians will carry out a main drain sewer line inspection to figure out what is causing the problem. After this, we will inform you of the recommended solutions before carrying out the best one for the situation. We can assure you that our business is one that many in our community absolutely trust. We are licensed, insured, bonded, and we are the best at what we do. We are confident of our ability to provide an effective and long-lasting remedy for you. We uphold a culture of excellence and goodwill. You can definitely count on our technicians to always be professional, polite, friendly, and reliable. 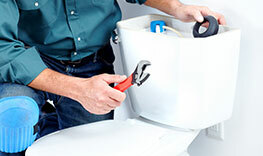 We promise you sewer service with a smile no matter the gravity of the plumbing issues you bring before us. We appreciate all our existing customers and value their satisfaction. We are also always eager to welcome new ones and are happy to speak with those seeking information or a quote for our services. Anytime you want to know more about the services we offer, feel free to browse our site or give us a call.